Darrin White put up big numbers in this August 1989 game for rookie Helena. His teammates, too. White, who picked up four hits and three RBI, credited experience with the team's performance, according to The Deseret News. "We're just being more patient, more selective at the plate," White told The News. "It's halfway through the season, and as much pitching as we've seen, we've learned from our mistakes." White learned enough to see time in seven professional seasons. Her saw single-A and then four seasons in independent ball. He never made the majors. 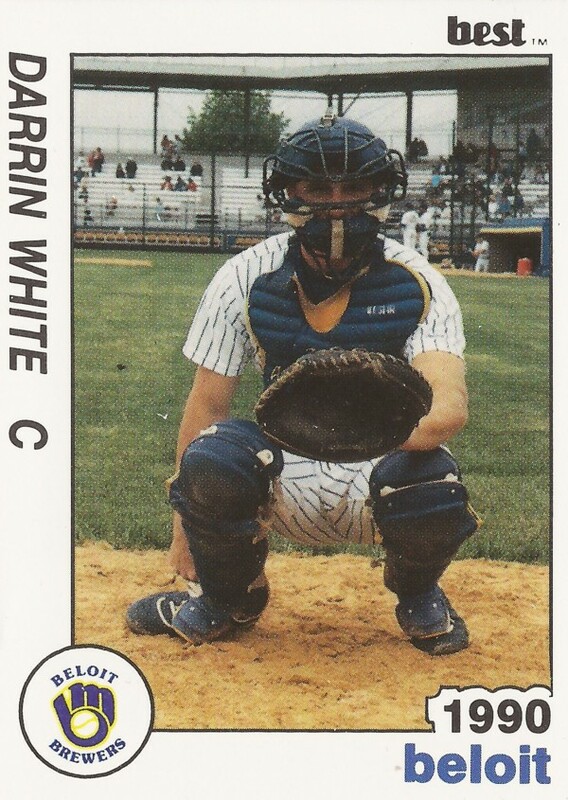 White's career began in 1989, taken by the Brewers in the 14th round of the draft out of Blinn College in Texas. White started with the Brewers at Helena. He got into 58 games, and hit .279. In one game against Butte, he hit the game-winning home run. White hit four round-trippers in all. He moved to single-A Beloit for 1990. He played in 82 games, mostly at catcher, and hit .166. He returned there for another 96 games in 1991. He hit .210. He didn't return for the Brewers. 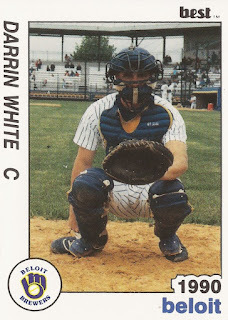 White returned to the field in 1994 with independent Alexandria. He hit .241 over 83 games that first year. He continued playing with Alexandria through 1997. He played briefly there in 1996, trying to finish his health and kinesiology degree from Sam Houston State, according to The Alexandria Town Talk. In 1997, he got into 58 games, scoring in a July game. He hit .246 overall, with four home runs and 23 RBI, ending his career.